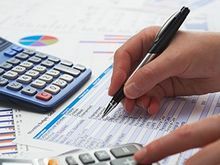 The excellent knowledge of tax legislation and over 30 years of experience in the relations with government institutions and the tax administration in particular, allow us to plan and optimize your tax liabilities ultimately sparing your budget. Advice on direct and indirect taxation - ATINP, Act on Local Taxes and Fees /ALTF/, CITA, VAT Act, Act on Excise and Tax Warehouses /AETW/. Tax protection at inspections – we render assistance during tax inspections, and this includes the preparation of written explanations, comments, resolution appeals and any other correspondence with the respective government institutions. Protection against issued acts for administrative and tax violations – the difference at interpreting tax acts, regulations and their application sometimes leads to various administrative and tax penalties. In such cases we make statements, objections and comments to the parties, and if reasonable, we appeal the tax and administrative acts issued. Optimization of company tax liabilities and tax risk minimization, and overall tax planning. For the existing or future clients of any of our subscription accounting service plans and those who use our accounting services, all tax advice and protection are FREE!